James Gordon Bennett was trouble. Early in his career, he had horsewhipped a fellow editor, James Watson Webb of the Courier and Enquirer. 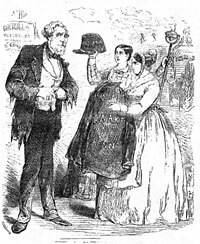 He had also been horsewhipped by Democratic politician Dan Sickles as Bennett’s wife looked on helplessly. But more often, James Gordon Bennett delivered horsewhipping with his pen. Bennett was a gentleman within the confines of his Fort Washington home, far from his newspaper’s offices on Broadway, across from St. Paul’s Chapel. As a publisher, Bennett was erratic but influential. Bennett’s journalistic contemporary Charles A. Dana wrote that he was “in many respects the most brilliant, original, and independent journalist I have ever known. Cynical in disposition, regarding every institution, every man, and every party with a degree of satirical disrespect, living through his protracted career in this city with very few friends, and those generally of a mental caliber inferior to his own, ready to affront alike the interests, the prejudices, and the passions of powerful individuals, or imposing parties with a judgment always inclining to be eccentric, and a lawless humor for which nothing was sacred except his own independent, he yet possessed such fresh and peculiar wit, such originality of style, such resources of out-of-the-way reading and learning, such unexpected and surprising views of every subject, such the collection of news, and to employ those able to organize and push that business, that he made himself the most influential journalist of his day; and in spite of enmities and animosities and contempt such as I have never seen equalled towards any man, he built up the Herald to be the leading newspaper of this country, and indeed, one of the great and characteristic journals of modern times.”2 Indeed, Bennett was New York City’s most creative journalist — developing innovations like the city’s first financial page. Eclectic in politics, Bennett supported Republican John C. Fremont in 1856, Simon Cameron for the Republican nomination in 1860, Democrat John Breckinridge in general election in 1860 and, Ulysses S. Grant for the Republican nomination in 1864 and Mr. Lincoln for reelection in 1864. He was part muck-raker and part muck-maker and enjoyed controversy.. His political agnosticism allowed him to attack virtually any politician at will and to support them when necessary — in 1864, he boosted Ulysses S. Grant as a Republican alternative to President Lincoln. He was frequently anti-British and anti-American. After Mr. Lincoln was nominated, the Herald reported: “Abram [sic] Lincoln is an uneducated man — a vulgar village politician, without any experience worth mentioning in the practical duties of statesmanship, and only noted for some very unpopular votes which he gave while a member of Congress. 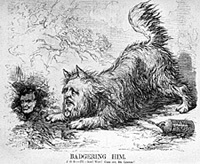 In politics he is as rabid an abolitionist as John Brown himself, but without the old man’s courage.”12 Throughout the campaign, the Herald continued to editorialize against the Springfield attorney. My budget appeared in the Herald on Saturday last. I have mailed you a copy. Of course you will find some things in it that will amuse you, but it had to be dished for peculiar appetites and in taking advantage of my opportunities and facilities I trust I have done you no injustice. At first I thought I would not publish the paragraph about your visit to Kentucky, but many of your best and most sagacious friends advised that it had better be done. My speculations about the cabinet were added to give the whole thing a sort of Herald tone. The editorial accompanying the letter is quite as important as the letter. A more important Herald asset for Mr. Lincoln was his relationship with German-American reporter Henry Villard, whom Bennett hired to cover President-elect Lincoln. Villard was put off by Mr. Lincoln’s uncouth behavior and story-telling but the access he was granted by the President-elect provided good copy for the Herald and a sharp contrast to its unfriendly editorials. 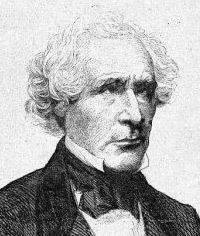 Bennett biographer Oliver Carlson wrote that “the reports from the Herald‘s special correspondent at Springfield were both factual and friendly, while its editorials were biased and denunciatory.”18 Bennett’s “objection to Lincoln was his party and the certainty that it would split the Union. He governed himself accordingly,” wrote biographer Seitz. “Caring nothing about politics for their own sake, he was not intimately informed about the new man. ‘From day to day’ was his motto.”19 Villard, however, was the only reporter who covered President-elect Lincoln day to day on his trip from Springfield to New York in February 1861. It would have been almost as instructive if President Lincoln had contented himself with telling his audience yesterday a funny story and let them go. His inaugural is but a paraphrase of the vague generalities contained in his pilgrimage speeches, and shows clearly either that he has not made up his mind respecting his future course, or else that he desires, for the present, to keep his intentions to himself. 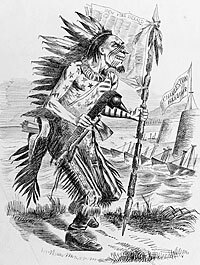 The stupendous questions of the last month have been whether the incoming Administration would adopt a coercive or a conciliatory policy towards the Southern States; whether it would propose satisfactory amendments to the Constitution, convening an extra session of Congress for the purpose of considering them; and whether, with the spirit of the statesmen who laid the cornerstone of the institutions of the republic, it would rise to the dignity of the occasion, and meet as was fitting the terrible crisis through which the country is passing. Although Villard noted that Bennett’s crossed eyes gave him a ‘sinister, forbidding look,’ the reporter was impressed by the older man’s tall, slender figure, handsome features, and generally imposing appearance. Still, Villard required no extended acquaintance with his editor to perceive that Bennett was ‘hard, cold, utterly selfish,’ and invincibly ignoble. Throughout the drive and dinner (at which Bennett’s twenty-year-old son was the only other person present), the editor plied his guest with questions about Lincoln, about the president’s characteristics, habits, opinions, plans, movements, and about the circumstances of his acquaintance with Henry Villard. It was only after dinner that Bennett revealed the reasons for his summons. The elder Bennett also offered his the younger Bennett’s yacht,, the Rebecca, for use by the Treasury Department. He wanted James Gordon Bennett, Jr., commissioned a lieutenant in the revenue service. According to Robert S. Harper, “Villard did his work well. 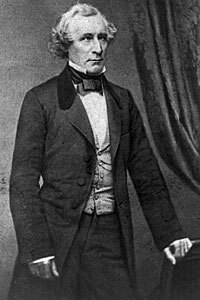 Young Bennett went to Washington and was introduced to the President by Secretary Seward. Lincoln wrote a letter of introduction which Bennett carried with him to Secretary Chase’s office. A commission was granted, and Bennett served until May 11, 1862, when he resigned.”27 Still, the old editor’s affections were as turbulent as the sea. Bennett’s devotion to coverage of the war was unremitting. His enterprise was creative. He boosted circulation with the unique policy of publishing all known war casualties. He ordered his staff: “Get the names of the dead men on every battle field as soon as you can…But that alone is not enough. Get the names of the wounded. Find out their condition, and if possible, ask them if they have any message they wish relayed to their relatives. Get the facts, and get them quickly.”33 He was a generous employer — particularly for those staffers whose enterprise produced a competitive advantage. A committee of the House of Representatives launched an investigation and placed Wikoff under arrest. 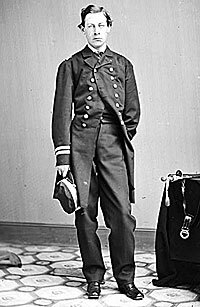 Journalist Ben Perley Poor wrote: “It was generally believed that Mrs. Lincoln had permitted Wikoff to copy those portions of the message that he had published and this opinion was confirmed when General [Daniel] Sickles appeared as his counsel. The General vibrates between Wikoff’s place of imprisonment, the White House, and the residence of Mrs. Lincoln’s gardener, named [John] Watt. The Committee finally summoned the General before them and put some questions to him. He replied sharply and for some minutes a war of words raged. He narrowly escaped Wikoff’s fate, but finally, after consulting numerous books of evidence, the Committee concluded not to go to extremities. While the examination was pending, the Sergeant-at-Arms appeared with Watt. He testified that he saw the message in the library, and, being of a literary turn of mind, perused it; that, however, he did not make a copy, but, having a tenacious memory, carried portions of it in his mind, and the next day repeated them word for word to Wikoff. 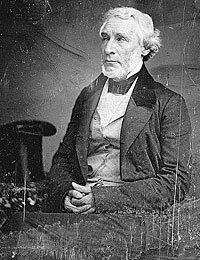 Meanwhile, Mr. Lincoln had visited the Capitol and urged the Republicans on the Committee to spare him disgrace, so Watt’s improbable story was received and Wikoff was liberated.”43 Whatever the real truth of the episode, Bennett’s Herald and Mr. Lincoln’s White House were both spared further embarrassment. According to historian Michael Burlingame, Bennett “in the last days of the 1864 campaign told his readers that it made little difference for whom they voted. While this was hardly a ringing endorsement, the Herald stopped its assaults on the administration and may have thus helped pave the way for Lincoln’s narrow victory in New York state.”55 But President Lincoln had not been passive in seeking a detente with Bennett. As early September 23, Senator James Harlan, who was a top leader of the Republican campaign, told presidential aide John Hay that “Bennett’s support is so important especially considered as to its bearing on the soldier vote that it would pay to offer him a foreign mission for it.”56 The outreach to Bennett by then was fully under way. The last sentence was apparently an allusion to the Herald‘s Bennett — which apparently Wakeman did not mistake. In mid-August, Wakeman wrote President Lincoln that “we have a curious genius in this city by the name of Wm. R. Bartlett — He has interested himself deeply in your success He deals with men who guide public opinion He desires a confidential interview with you, but he would not visit Washington unless invited by you He claims he can give you some information of vital importance, but he must see you and that at your request — I may say he is a friend of Mr. Isaac Sherman and that Mr. S. believes in him Now I have not been able to see Mr Sherman He is out of town and will not return until Monday I would beg to suggest that you write a line saying you would be pleased to see him in Washington and enclose it to me I will, without his knowing or seeing it, first consult with Mr Sherman, and if, upon consultation with him, we shall deem it best to deliver it, then I will do so otherwise, with proper explanations, return it to you This, I think, will be safe Time, Bartlett says, is all important Else I would wait and see Mr S. for it- “. Wakeman then added: “Mr Bennett you will see by the enclosed is in for Commissioners &c to Richmond He says this would elect you I don’t give any opinion.”58 So began a curious dance between Bennett and President Lincoln with [William O.] Bartlett as the dance master. Twice in the fall of 1864, New York promoter Bartlett met with President Lincoln about a diplomatic appointment for Bennett. Even though Bennett was often beating him with a stick, Mr. Lincoln had a carrot which he held out to Bennett during the campaign — the job of U.S. Minister in Paris. August Belmont bet $4.000 night before last that this State would go for McClellan. Gen. McClellan has been up to Fort Washington and spent a day with Mr. Bennett. I am from Washington, fresh from the bosom of Father Abraham. I had a full conversation with him, alone, on Tuesday evening, at the White House, in regard to yourself, among other subjects. Randall was right. Bigelow combined real diplomatic skills with accomplished French linguistic skills. After Mr. Lincoln’s assassination, noted historian Stephen B. Oates, “the intemperate New York Herald, which had once denigrated Lincoln as ‘the great ghoul at Washington,’ now referred to him as ‘Mr. Lincoln’ and claimed that historians a ‘hundred years hence’ would still be astounded at his greatness.”74 With a trace of irony, Bennett traced the “real origin of this dreadful act” to “the fiendish and malignant spirit developed and fostered by the rebel press, North and South.”75 Bennett continued as publisher of the Herald until 1867 when he relinquished the position to his less distinguished son. Herbert Mitgang, editor, Spectator of America: A Classic Document About Lincoln and Civil War America by a Contemporary English Correspondent, Edward Dicey, p. 22-23. James Harrison Wilson, The Life of Charles A. Dana, p. 485-486. May D. Russell Young, editor, Men and Memories: Personal Reminiscences by John Russell Young, p. 208-209. Don C. Seitz, The James Gordon Bennetts: Father and Son, Proprietors of the New York, p. 55. John Waugh, Reelecting Lincoln, p. 138. Don C. Seitz, The James Gordon Bennetts: Father and Son, Proprietors of the New York, p. 15. John Steele Gordon, “The Man Who Invented the Newspaper”, American Heritage, August-September 2002, p. 25. John J. Turner, Jr., and Michael D’Innocenzo, “The President and the Press: Lincoln, James Gordon Bennett and the Election of 1864”, The Lincoln Herald, Summer 1974, p. 64. Ralph R. Fahrney, Horace Greeley and the Tribune in the Civil War, p. 76. James Harrison Wilson, The Life of Charles A. Dana, p. 488. Oliver Carlson, The Man Who Made News: James Gordon Bennett, p. 296. Chester L. Barrows, William M. Evarts: Lawyer, Diplomat, Statesman, p. 94 (New York Herald, May 22, 1860). Robert S. Harper, Lincoln and the Press, p. 63. James G. Randall, Lincoln the President, Springfield to Gettysburg, Volume I, p. 44. Abraham Lincoln Papers at the Library of Congress. Transcribed and Annotated by the Lincoln Studies Center, Knox College. Galesburg, Illinois. (Letter from Simon P. Hanscom to Abraham Lincoln, October 24, 1860). Reinhard H. Luthin, The First Lincoln Campaign, p. 213. Oliver Carlson, The Man Who Made News: James Gordon Bennett, p. 302. Don C. Seitz, The James Gordon Bennetts: Father and Son, Proprietors of the New York, p. 170. James G. Randall, Lincoln the President: Last Full Measure, p. 42-43. Ralph R. Fahrney, Horace Greeley and the Tribune in the Civil War, p. 58 (New York Herald, December 17, 1860). Don C. Seitz, The James Gordon Bennetts: Father and Son, Proprietors of the New York, p. 170-171. Oliver Carlson, The Man Who Made News: James Gordon Bennett, p. 310-311. James G. Randall, Lincoln the President, Springfield to Gettysburg, Volume I, p. 313. Alexandra Villard de Borchgrave and John Cullen, Titan, p. 147. Robert S. Harper, Lincoln and the Press, p. 320 (See James M. Perry, A Bohemian Brigade: The Civil War Correspondents , p. 54-55). Oliver Carlson, The Man Who Made News: James Gordon Bennett, p. 318. Thurlow Weed Barnes, The Life of Thurlow Weed, Volume I, p. 617. Thurlow Weed Barnes, The Life of Thurlow Weed, Volume I, p. 618. Thurlow Weed Barnes, The Life of Thurlow Weed, Volume I, p. 618-619. Oliver Carlson, The Man Who Made News: James Gordon Bennett, p. 322. Oliver Carlson, The Man Who Made News: James Gordon Bennett, p. 342. Oliver Carlson, The Man Who Made News: James Gordon Bennett, p. 325. Oliver Carlson, The Man Who Made News: James Gordon Bennett, p. 335. Benjamin Thomas, Abraham Lincoln, p. 299. Justin G. Turner and Linda Levit Turner, editor, Mary Todd Lincoln: Her Life and Letters, p. 138 (Letter from Mary Todd Lincoln to James Gordon Bennett, October 25, 1861). Oliver Carlson, The Man Who Made News: James Gordon Bennett, p. 336-337. Margaret Leech, Reveille in Washington, p. 295-296. Justin G. Turner and Linda Levit Turner, editor, Mary Todd Lincoln: Her Life and Letters, p. 138 (Letter from Mary Todd Lincoln to James Gordon Bennett, October 4, 1862). Ruth Painter Randall, Mary Lincoln: Biography of a Marriage, p. 271. Margaret Leech, Reveille in Washington, p. 290-291. Carl Sandburg, Abraham Lincoln: The War Years, Volume II, p. 251-252. Don C. Seitz, The James Gordon Bennetts: Father and Son, Proprietors of the New York, p. 187. Robert S. Harper, Lincoln and the Press, p. 320. Roy P. Basler, editor, The Collected Works of Abraham Lincoln, Volume VI, p. 225 (Letter to James Gordon Bennett, May 21, 1862). Charles M. Segal, editor, Conversations with Lincoln, p. 332 (New York Herald, June 17, 1862). James G. Randall, Lincoln the President: Last Full Measure, p. 43. Nathaniel Wright Stephenson, Lincoln, p. 372 (New York Herald, August 6, 1864). David Herbert Donald, Lincoln Reconsidered, p. 74 (and James G. Randall, Lincoln the Liberal Statesman, p. 82-83). Charles M. Segal, editor, Conversations with Lincoln, p. 332 (New York Herald, October 3, 1863). Benjamin Thomas, Abraham Lincoln, p. 416 (New York Herald, March 1864). Charles M. Segal, editor, Conversations with Lincoln, p. 332 (New York Herald, December 16, 1863). Charles M. Segal, editor, Conversations with Lincoln, p. 332 (New York Herald, September 25, 1864). Michael Burlingame and John R. Turner Ettlinger, editor, Inside Lincoln’s White House: The Complete Civil War Diary of John Hay, p. 259. Michael Burlingame and John R. Turner Ettlinger, editor, Inside Lincoln’s White House: The Complete Civil War Diary of John Hay, p. 229 (September 23, 1864). Abraham Lincoln Papers at the Library of Congress. Transcribed and Annotated by the Lincoln Studies Center, Knox College. Galesburg, Illinois. (Letter from Abraham Lincoln to Abram Wakeman [Draft], July 25, 1864). Abraham Lincoln Papers at the Library of Congress. Transcribed and Annotated by the Lincoln Studies Center, Knox College. Galesburg, Illinois. (Letter from Green Clay Smith to Abraham Lincoln, September 2, 1864). Abraham Lincoln Papers at the Library of Congress. Transcribed and Annotated by the Lincoln Studies Center, Knox College. Galesburg, Illinois. (Letter from William O. Bartlett to Abraham Lincoln1, October 20, 1864). Oliver Carlson, The Man Who Made News: James Gordon Bennett, p. 370. Carl Sandburg, Abraham Lincoln: The War Years, Volume IV, p. 110. James G. Randall, Lincoln the President: Last Full Measure, p. 44. John J. Turner, Jr., and Michael D’Innocenzo, “The President and the Press: Lincoln, James Gordon Bennett and the Election of 1864”, Lincoln Herald, Summer 1974, p. 66. Gideon Welles, Diary of Gideon Welles, Volume II, p. 258-259 (March 16, 1865). Alexander K. McClure, Abraham Lincoln and Men of War-Times, p. 90-91. Alexander K. McClure, Abraham Lincoln and Men of War-Times, p. 91-92. James G. Randall, Lincoln the President: Last Full Measure, p. 44-45. Robert S. Harper, Lincoln and the Press, p. 321. John J. Turner, Jr., and Michael D’Innocenzo, “The President and the Press: Lincoln, James Gordon Bennett and the Election of 1864”, Lincoln Herald, Summer 1974, p. 68. Justin G. Turner and Linda Levitt Turner, editor, Mary Todd Lincoln: Her Life and Letters, p. 205 (Letter from Mary Todd Lincoln to Abram Wakefield, March 20, 1865). James G. Randall, Lincoln the President: Last Full Measure, p. 282-283. Stephen B. Oates, Abraham Lincoln: The Man Behind the Myths, p. 18. Oliver Carlson, The Man Who Made News: James Gordon Bennett, p. 372.